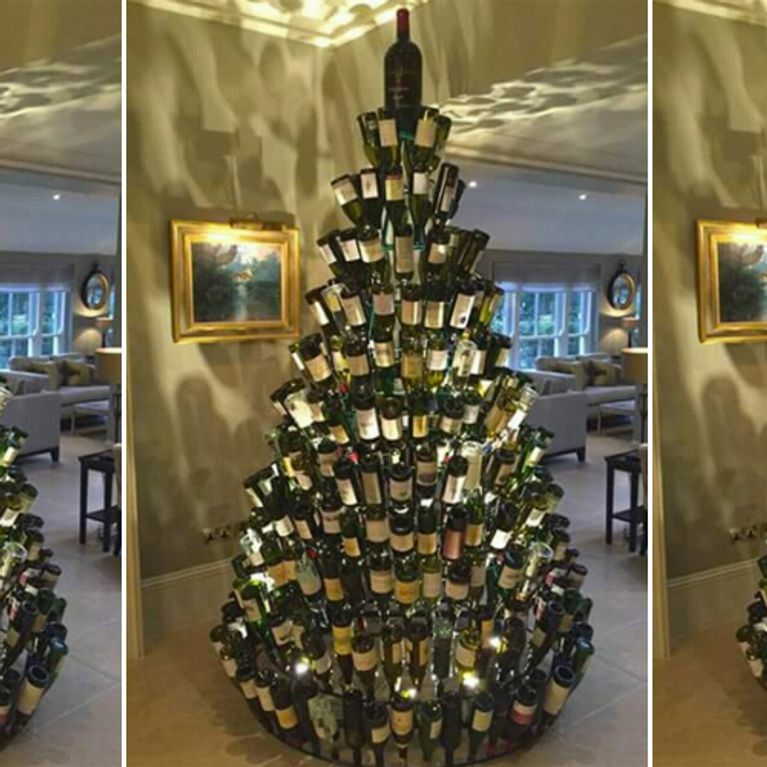 With only a few weeks until the big day, the people of Pinterest and beyond are getting into the Christmas spirit in the best way possible - by erecting trees made from empty wine bottles... Merry Christmas indeed. 'Tis the season to be jolly so consider that your excuse to drink as much wine (mulled or otherwise) required to make a Christmas tree out of empty bottles because it's 2016 and the people of Pinterest are sprucing up their Spruces by doing exactly that. What began life as a singular Spruce in wine merchant Silver Oak Cellar's headquarters in Christmas 2014 has blossomed into a fully-fledged viral Internet trend and we're all the more merrier for it. If you're brave enough to try this at home, your best bet is getting your hands on a bottle drying rack like this and securing your hefty empty wine-bottle collection onto the hooks and ta-da - you've got yourself a Merry Christmas. It turns out corks can be fashioned into festive firs (and decorations), too and you can buy one someone made earlier from Etsy. Alcohol seems to be the main theme of Christmas 2016 - what with wine-dispensing stockings and gin-filled baubles hitting the shelves but we can't say we're surprised. We're in need of much merriment to make up for the miserableness of this year (see: Trump elected president, Bowie dying, Mary Berry quitting The Great British Bake Off, the list is endless) so consider these brilliantly boozy decorations as 2016's early Christmas present to you.